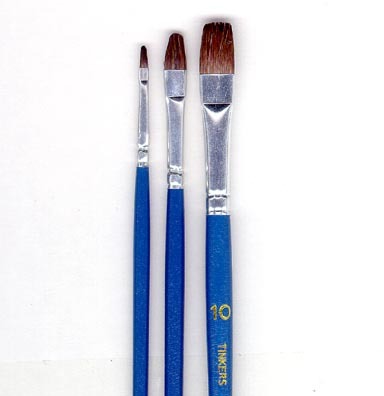 High Quality Brush Sets have lacquered & balanced handles, polished ferrules & quality bristles that provide good snap, clean edges & fine points. Carefully assembled for long-wear. 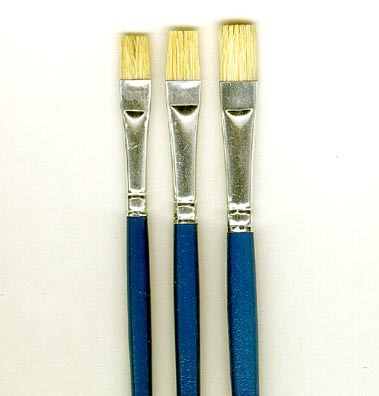 Individual styles and sizes of brushes are also available in economical packages of 3. 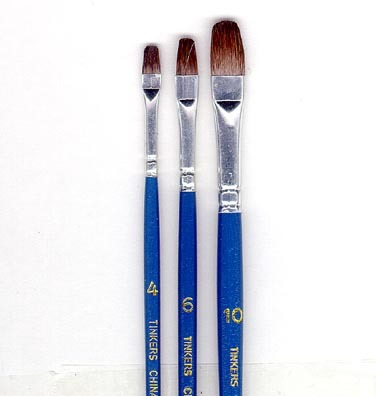 To view see "Brushes, Artist and Craft, Tinkers Creek".